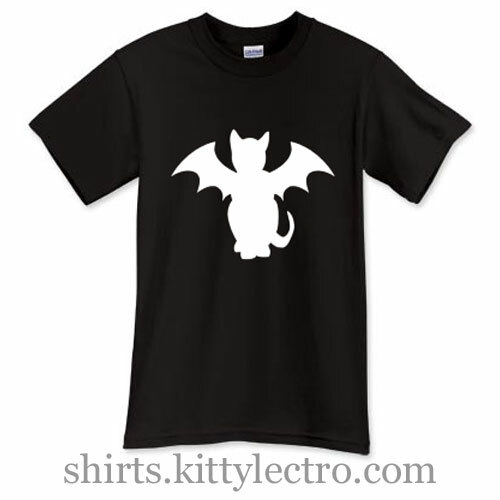 This Goth Bat Cat shirt is available in Women's, Men's and Long Sleeve. Sizes Adult Small to Adult 5X. 100% Cotton. Black Fabric.